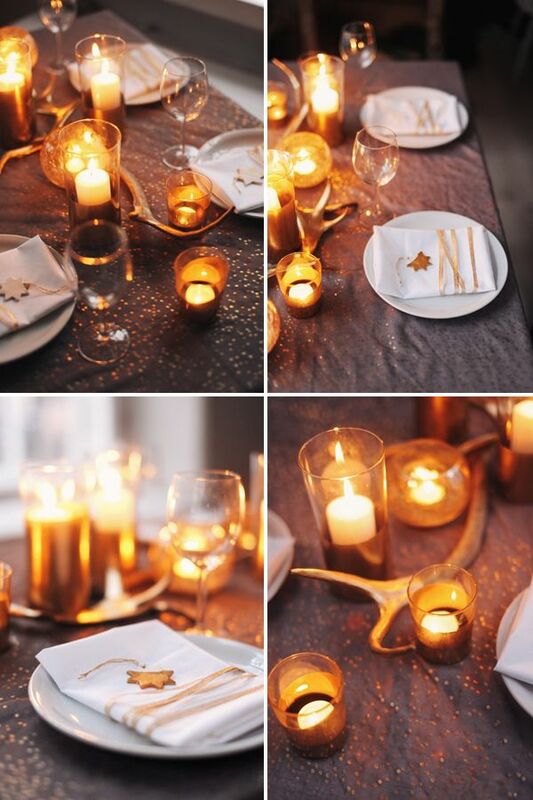 We had a little time this week to put together & shoot some ideas for your holiday table. This one is super-easy, real quick and you can re-use all elements over and over again. These shots were taken at 2pm in the afternoon by the way. You kinda get the moody atmosphere, also known as darkness, for cozy shoots as this for free in Finland at this time of the year. Almost 24/7. If you want to create this table scape, find yourself a pretty table linen - we actually used a large scarf of Lotta here. 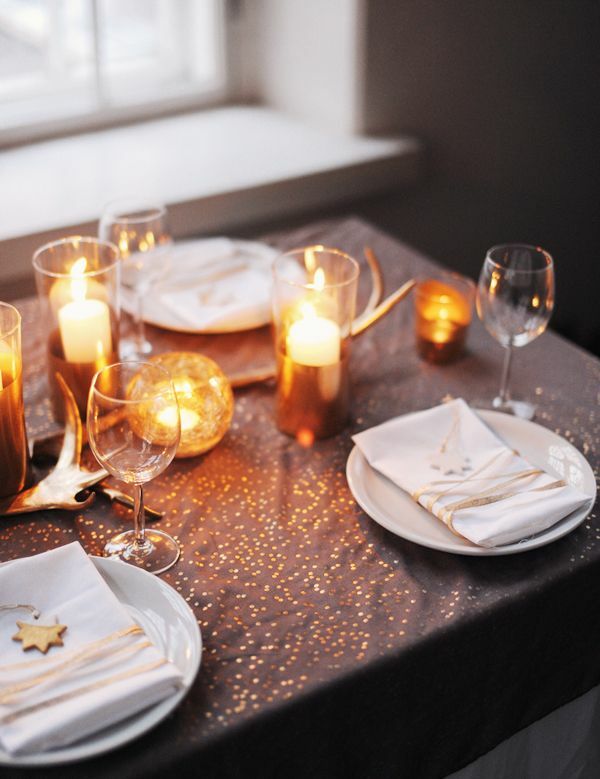 If you're digging the sparkly look of it, but can't get a hold on something equal, use a simple mud colored (or any other neutral color) table linen and sprinkle it with gold confetti. 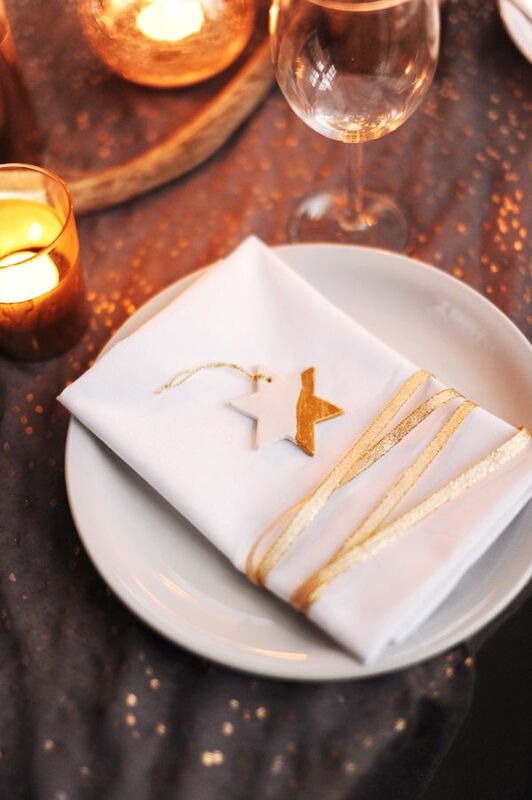 The place settings are simple: a plate, a folded cloth napkin tied with gold ribbon and a little star ornament place card on which you can write the guest names if you like. These ornaments are made from air-drying clay, rolled out and cut with a star cookie cutter. After the clay is dry, sand the edges and if you want, create the dip-dyed effect by painting parts of the ornament with gold acrylic paint. 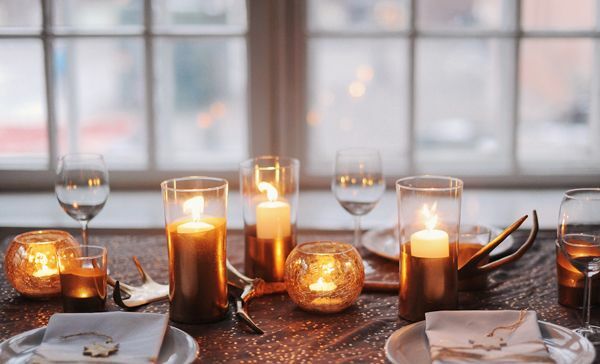 For the centerpiece, grab some simple glass votive holders and candle glasses - or as we did: drinking glasses. The large ones in the picture are "Mjöd" from Ikea, the small ones "Svalka". They come in sets of 6 and will cost you around 6€/set. We also got some reindeer antlers - in Finland you can get them here. Get yourself some good gold spray paint. In our opinion the ones you can get at Bauhaus are by far the best (again this goes only for Finland). 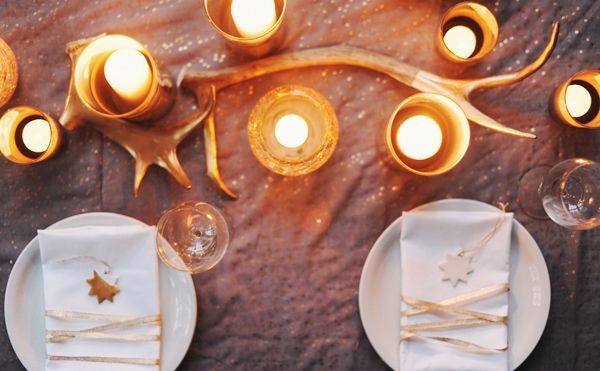 Grab some masking tape and cover all parts of the glasses and antlers that you don't want to be golden. Make sure the tape is on really tight. Then simply spray the other parts with thin layers of spray paint. Let dry and remove the tape. 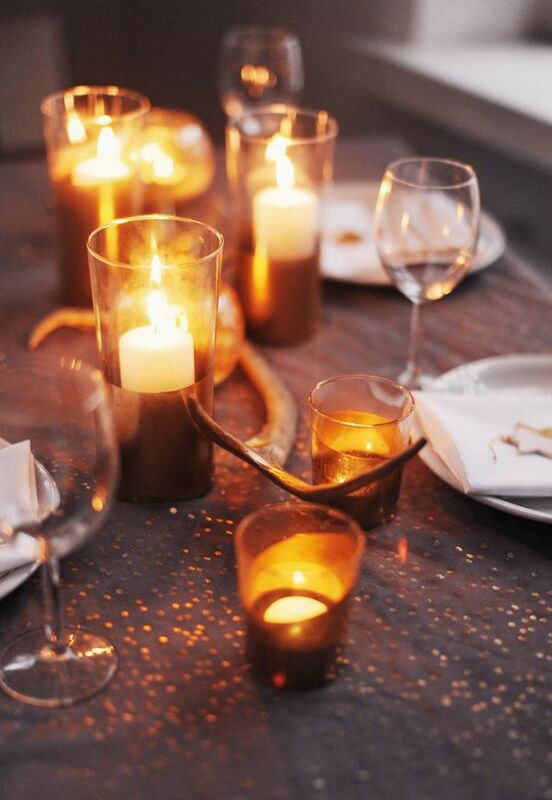 Now grab some candles and set the table. Olipa hauska vinkki - yksinkertaiset ja helposti toteutettavat ideat usein ovatkin parhaita. Oh my GOSH- This is great - love the antlers! Hello Michaela , Hello Lotta! I'm in love with this table and with your blog. It seams to me that everything I found on the web, it's somehow from HEY LOOK. :) great job! I truly enjoyed this. It was extremely educational and useful. 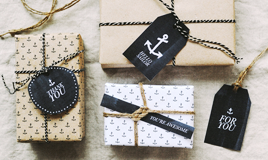 Right here is the perfect blog for anybody who would like to find out about this topic. I’m glad that I found this site, I got exactly the best information that I was searching for! I’m gone to tell my little brother, that he should also p aya visit this weblog on regular basis to updated from most recent information.